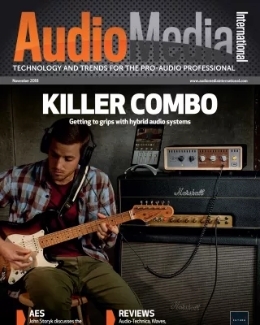 "Anybody can buy great equipment, but you can’t buy the guarantee of a busy studio,” says producer and mix engineer Pete Hofman, who is also project manager and technical director of Miloco Builds, the studio design and building arm of Miloco Studios. Hofman’s not wrong about there being a wealth of advice online, with countless articles and opinion pieces on how to build a studio. 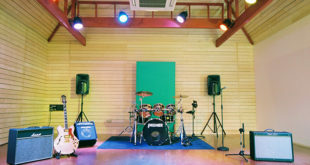 While many are well researched and cover most aspects of building and fitting out your own studio, they can’t replace years of experience gained by acousticians or expert studio builders. 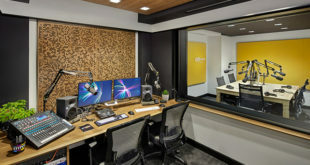 Fortunately, for those planning to have a studio designed and built from the ground up, there are highly experienced professionals who can see them through the process of constructing their dream creative space that sounds as good as it looks. 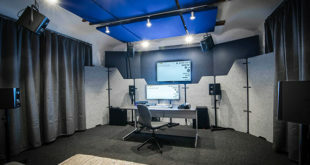 Led by Hofman, who works alongside respected acoustician Nick Whitaker and veteran studio builder Peter Russel, Miloco Builds has provided studio design and building services to the likes of engineers, artists, producers, post-production companies and education providers for over 15 years. Miloco also benefits from an infrastructure of maintenance engineers, technicians and support from [the firm’s sales and distribution arm] Miloco Gear. 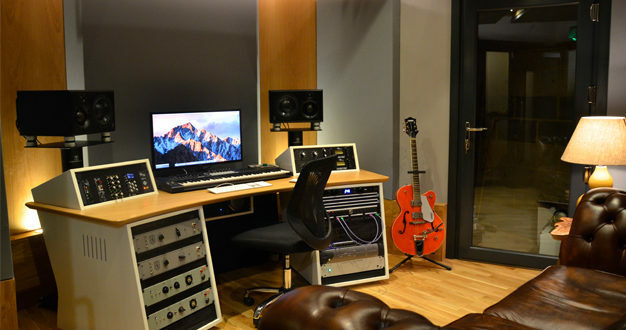 Recent projects undertaken by Miloco Builds include Sholto Ratcliffe’s Dock Street Studios (pictured above), a studio for former Kaiser Chiefs drummer Nick Hodgson and a recording studio for Bastille, amongst many others such as Paul Epworth’s Church Studios which it worked on with Walters-Storyk Design Group (WSDG). After the initial process of discussing what the client is hoping to achieve with the new studio, Hofman says that he will then start looking at properties and carry out an acoustic survey, explaining to the client what short-falls in any particular property might be. 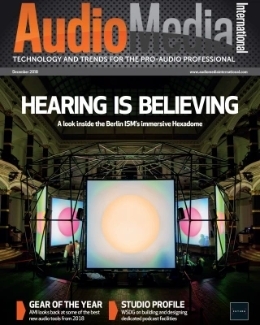 Hofman tells Audio Media International that finding a suitable building for new recording studios and post-production facilities is becoming more and more difficult, especially in London where “there are no big buildings left or they are too expensive”. 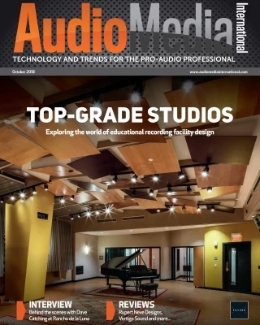 In fact, everyone that spoke to AMI for this feature cited the choice of building as one of the biggest challenges for anyone curently looking to take ownership of a custom-designed studio. “The problems are all around the building,” agrees Munro Acoustics’ Clive Glover. Founded by Andy Munro around 30 years ago, south London-based Munro Acoustics originally started as a design company, diversifying into studio building with the addition of a dedicated building arm called Form & Funktion. “In the post-production industry for example, for a very long time it had to be in Soho, which meant that there are no suitable buildings in Soho for studios, so you are constantly fighting against the restrictions you are being given,” he explains. “If you are going to put in an isolation shell you are going to have a floating floor. That takes up volume and that takes up space. Over and above that you have got to have air conditioning and ventilation. There are a lot of things you need to fit into that volume. Walls founded Level Acoustic Design around four years ago, having spent ten years working for Munro prior to that. 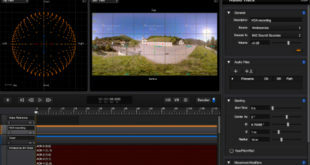 He’s worked on over 1,000 projects since then, having designed studios for the likes of Abbey Road, NBC and Universal. His firm also provides design services to Justin Spier’s Studio Creations which, launched 14 years ago, has built studios for an enviable list of clients including Warner Music UK, Mute Records, Jamie Cullum and many others. Spier explains that if a building is deemed to be unsuitable after the feasibility study has been carried out, they will advise the client against building there. He adds that one of the biggest problems in the studio-building world is that hopeful new-studio owners will turn to ‘cowboys’ who might agree to go ahead and build something rather than advise their clients that it might not be the best way forward. “They’ll go, yeah, I’ll build you a studio! But it’s massively complicated and a lot of skill [is required] from the design perspective straight down to the actual builders themselves delivering something,” he says. “Someone will always tell them that they can do something and build it, and that’s where problems arise. Occasionally you get a call six to 12 months later, asking, Can you please fix the problems? After the choice of building, one of the first things that should be considered when designing a new facility is how to make the air conditioning work, suggests Munro’s Glover. Working alongside Glover is acoustician Phil Pyatt who also handles the custom speaker side of the business. “We’re still running the Dynaudio Acoustics name after all these years, making big custom systems,” he says. One of Munro’s recent projects was the new Atmos mixing theatre at Abbey Road Studios. “We did the internal fit out and all of the acoustic treatment and acoustic isolation shell as well as using our speaker systems,” explains Glover. John Storyk, founding partner of WSDG says that “HVAC (heat, ventilation and air conditioning) is of course a concern,” and is usually one that can be resolved with adequate height for ductwork as well as access to outside air.